Apart from the monarchy there's naught that's much posher than polo. Or that's the general impression people have of the sport. 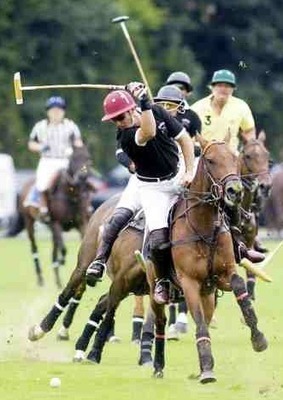 But, just like the monarchy, polo's not as posh as it used to be. 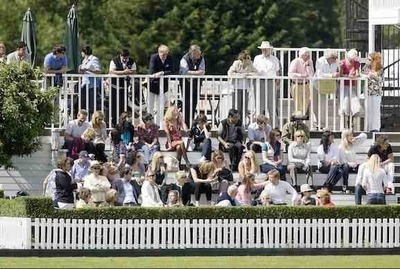 And attending a match is actually very inexpensive: £2 per person, or £10 for a car-load of you, if you go to the Ham Polo Club. 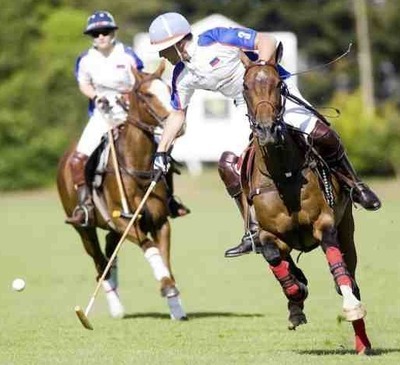 Ham Polo Club is where the Princes play, so you never know who you might see at an event here. Ham is also known as the London Polo Club, because it's the last polo club in London. It's also one of the oldest in the UK. There are three polo fields at the club, along with some training areas. And on match day you'll see several of them in use. There are a couple of big tournaments: The Summer Tournament, The Dubai Trophy, The Billy Walsh Tournament (Billy was the one who revived the club after the war) and The Roehampton Trophy. These are the flagship events to come to, but they're also the ones that are hard to get tickets for. There are matches held every Sunday in season though, so there's plenty of alternative dates available – it's really not that exclusive at all. The aim is to hit a wooden ball, using a long handled wooden mallet, into your opponent's goal. The trick is that you're doing it while riding a horse. It's played four on four, but there are two mounted umpires on the field to keep the peace and keep things safe. It's played in seven minute increments called chukkas, after which players have three minutes to change their steeds or do whatever else they need to do before the bell rings again and play starts up. After each goal is scored you change ends. Like in golf, players have a handicap. But unlike golf in polo, the larger the number the better you are. If you'd like to get a bit more involved Ham also runs a polo school, so you can try it out yourself. On a wooden horse first, and then a real one. While the entry fee is a lot more casual than you might have expected, the dress code isn't: you're still expected to dress smartly, and no one is allowed to wear shorts under any circumstances. Though smart jeans are allowed. See, it really isn't as posh as you thought, is it! Great review, Sundays at Ham Polo Club are a fantastic day out. Thanks for sharing all the information.